This Riddler costume ate my life for pretty much all of September. It was so involved, in fact, that I was only able to do one round of design drills and nary an Amazonia garment was draped before the Expo weekend. In spite of the underestimation of time that it would take to make it, I had a blast. 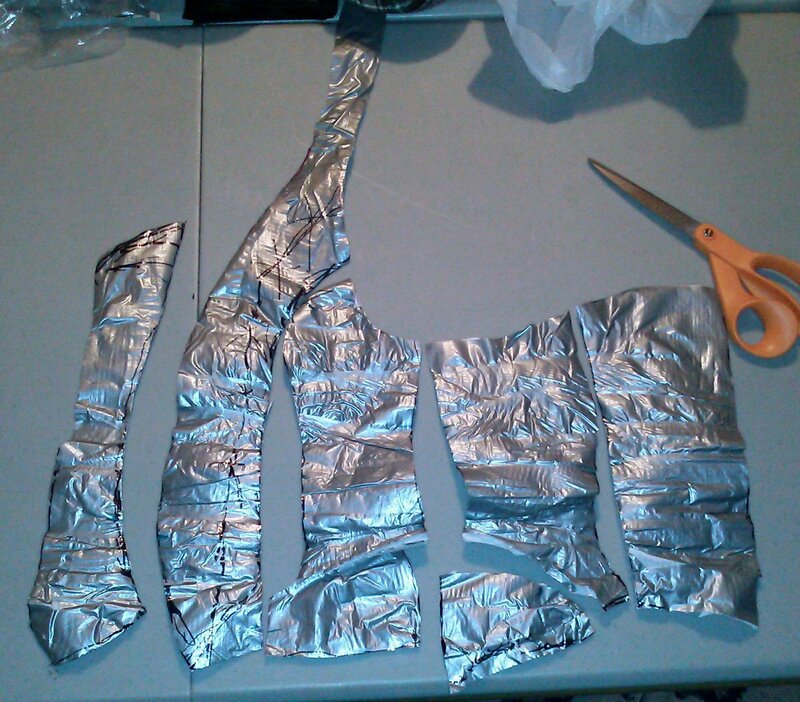 I discovered my passion for sewing through cosplay, so it was great revisiting it. I design cosplay the way I design for theatre – I try to give truth to a character through the clothes they wear. One should consider the range of motion a character required or a vibe she wants to give off when entering a room. Thinking of what it means to live as that character and how her clothes should accommodate her is the most exciting part of designing. It all culminates into something that is mine and that I actually get to wear. And if I’m honest, I’d dress like a super villain every day. Which is why I’m super jazzed I had three opportunities to wear it over the course of a month. Before getting into this, if you haven’t read my initial post on this, I recommend it. I included photos of the fabric and the design illustration as well. While I don’t have as many progress photos as I would like, I don’t know how interesting they would have been anyway. I altered McCall’s patterns for the jacket and pants. I would have liked to drape/pattern everything myself, but time was running short. 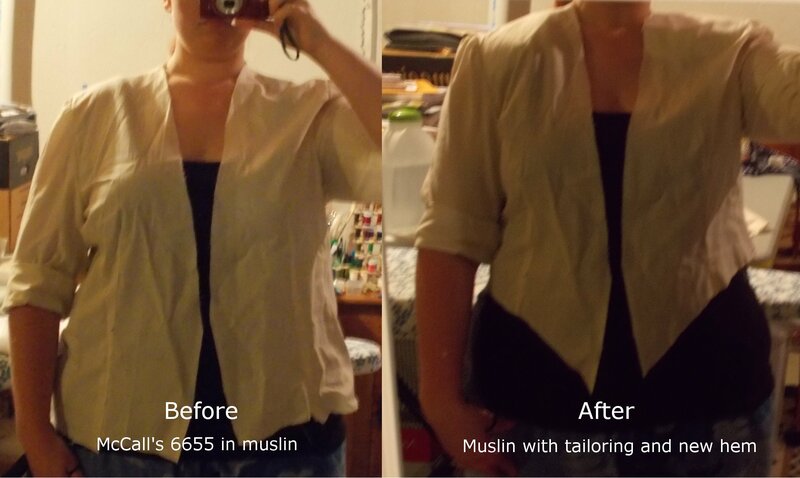 Starting with McCall’s 6655 for the jacket, I sewed a quick muslin mock-up. 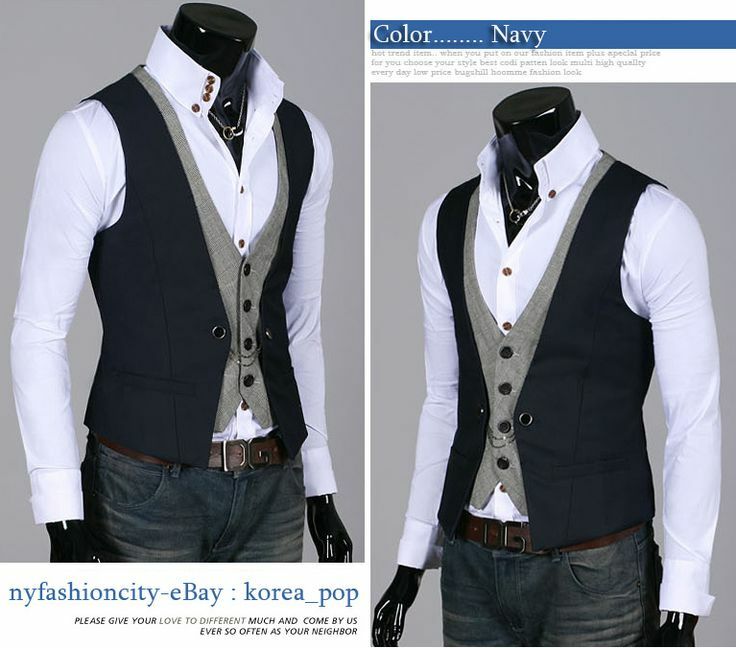 I knew I wanted to tailor it enough so it would lay open to reveal the vest underneath. Not super flattering, as you can see in the photo below. I took in the sides and cut the hem to reflect the design. Because the pattern was for a women’s suit coat, even with the tailoring and new hem, it still looked like a suit coat. The Carlos D’anda concept art that I used as my inspiration features Riddler in something that looks like a motorcycle jacket made of tweed. 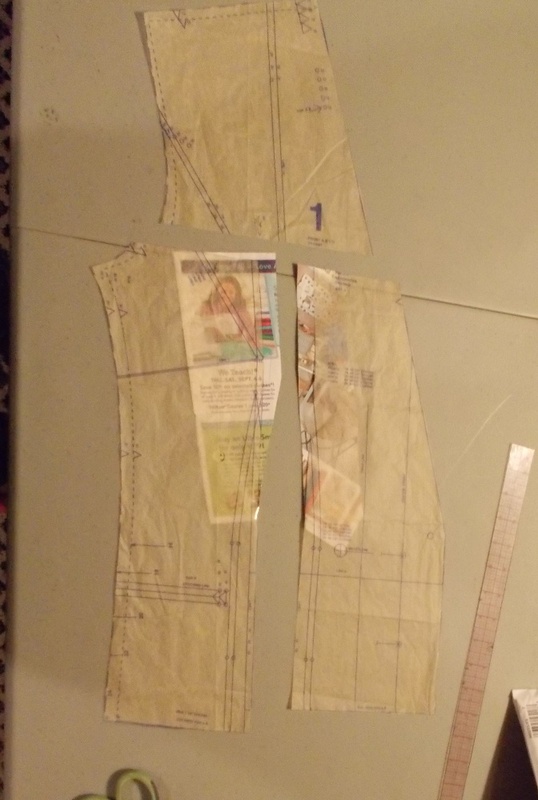 Going back to the pattern pieces, I added a princess seam in the front, as well as a yoke in the front and back. And yes, I used a JoAnn’s coupon flyer to add my seam allowance. 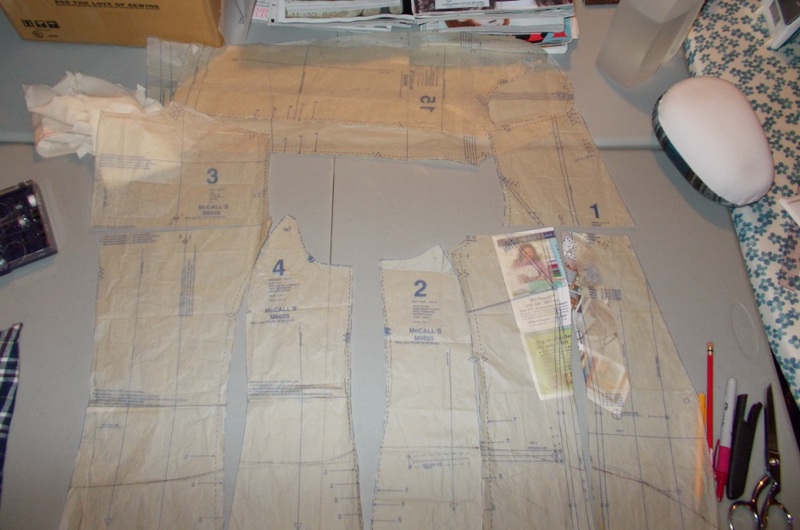 With the pattern adjusted, I cut and assembled the jacket. For the pants, I used McCall’s 6610. Not a lot of changes on this one. I changed the pockets to have a straight edge opening, instead of the usual curved one you find on jeans. I also left the back pockets off, knowing I would add my own after a round of spray paint. Oh yes. Spray paint. 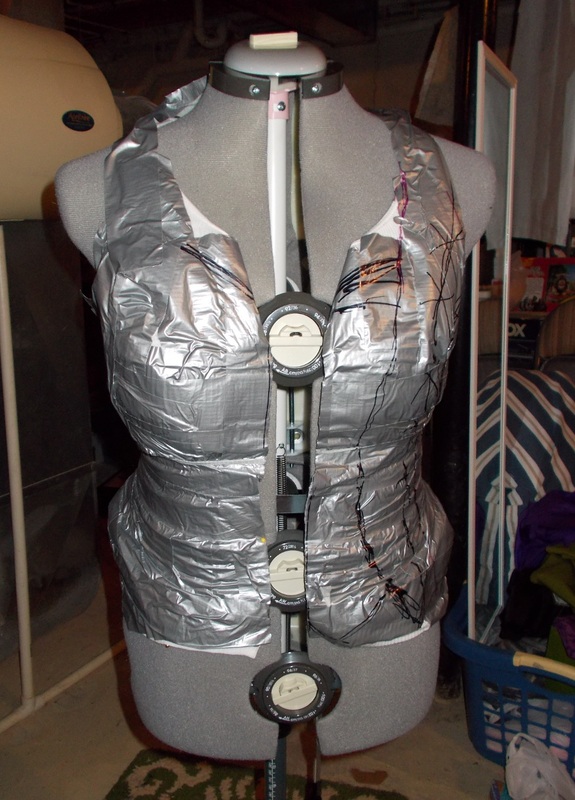 Have a friend wrap your torso in duct tape with the appropriate amount of tightness. I cut my fabric and assembled as much as I could before having to lay down masking tape before spray painting the center front panel. What’s with the spray paint? 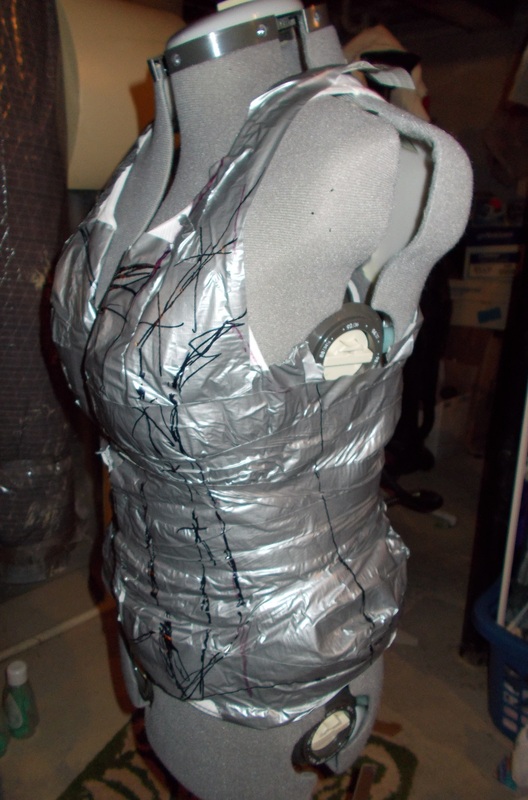 In keeping with the street punk aesthetic I was shooting for, I created the appearance of windowpane plaid by masking off squares on the pants and center front of the corset and then lightly applying black spray paint. It was my compromise between dapper, early 20th century menswear and a 70’s punk. I’ll have photos of the spray paint results, as well as all the work I did to make my many accessories on the next post … I’m thinking Thursday.